Description: Returning for Season 5 is Parker, who proved himself in his rookie season mining the Klondike when he brought in over 1,000 ounces of gold worth $1.4 million. This time around, he's set a lofty goal to double his take. Todd is also back after hitting rock bottom in the jungles of Guyana, South America, where he lost his land, most of his money, and ultimately his crew. Finally, Tony aka "The Viking," and his team return after buying a $1 million, 75-year-old floating gold dredge he hopes will be his ticket to wealth. Description: The life of John Schnabel from the Kansas dustbowl, to a career on an Alaskan gold mine. Description: Parker's car is totaled in a head-on collision; rock trucks go head-to-head on a dangerous road. Description: The Hoffman crew tries to reach their season goal; Tony tries to run the gold dredge. Description: Todd gets his washplant stuck in a river, Tony nearly crushes his son beneath a conveyor, and Parker is forced to mine a swamp. Description: Parker fights with his crew; Todd, Jack and Thurber tackle their first clean up. Description: Todd is forced to sell his gold to get the mining equipment he needs, Parker hauls his washplant across the claim and Tony takes to the skies to get from his claim to the gold dredge. Description: Dave agrees to work with the Hoffman crew under a new agreement. Tony has a near miss while removing the heaviest part of the dredge and Parker fights with Rick when he opens up untested ground. Description: Dave and Todd disagree about how to mine frozen ground; Tony's daughter lands in a bad situation. Description: Todd needs a down payment for a big purchase; Parker buys new equipment. Description: Parker goes for his best clean-up so far; Tony attempts to rip the trommel out of his gold dredge. Description: The Hoffmans overcome a lack of water to get a monster clean up. Tony finally gets his dredge on the way to its new home in Eureka Creek. Parker gets the biggest gold clean up in Gold Rush history. Description: As a new mining season begins, Parker gets off to a disastrous start when he loses key crew and Tony orders him off his claim. Todd sets a massive goal for the season and Tony reveals big plans to expand his operation. Description: Parker goes from a fifteen-year-old boy who learns from his grandfather to a twenty-one-year-old major player in the Klondike. Description: The sons of the Klondike return for more gold; the Hoffmans try to rebuild their reputation; Parker could be on borrowed time. Description: Monica takes over as captain of Tony's 350 ton dredge. Parker struggles to haul in his monster new washplant and the Hoffman crew is plagued by tailings. Description: Parker's new mechanic sparks a mutiny. A drought shuts down Todd's operation and Tony faces a major issue that could put him out of business. Description: A series of breakdowns pits the Hoffman's day crew against the night shift. Parker's washplant continues to produce pay but his crew starts falling apart. Tony and Gene go head to head over how to run the dredge. Description: Tony makes a big purchase. Parker and Todd wager on who will get the most gold, leading to big changes on the claims. Description: Parker runs bedrock in an all out bid to overtake his rival in the gold count. Todd opens a risky new cut and things go south when Monica and Kevin are left in charge of the dredge. Description: Parker takes a huge risk as he abandons the Boundary Cut for a shot at big gold. Gene pushes the dredge faster than it was ever designed to run and Todd's best clean up of the season is overshadowed when his landlord drops a devastating bombshell. Description: Tony Beets travels back to his roots in the Netherlands where he reveals details about his transformation from a farm boy to a Klondike mining legend. Cameras also follow him in his offseason home in the desert. Description: Faced with losing McKinnon Creek, Todd goes prospecting for nuggets and a new claim. Tony steers the dredge in a radical new direction and Parker pushes his crew to the limit when he orders them to move the washplant in 12 hours. Description: Tony finally succeeds in getting his 75-year-old dredge mining for gold; Grandpa John is rushed to the hospital. Description: Parker must divert a creek and mine; Tony breaks his dredge buckets; Todd doubles down with a second monster washplant. Description: Todd encounters big issues as he attempts to move his 50 ton washplant. Tony's dredge finally starts producing gold. Parker piles on the pressure and it proves to be too much for one of his young crew members. Description: Todd's attempt to deal with a mountain of tailings pits him against his son Hunter. Tony's dredge takes a hit as he puts a rookie winchman in the hot seat. Parker seeks advice from his Grandpa as he struggles to save his season. Description: As Parker's frustration boils over, he must look at his own attitude; at Eureka Creek, Tony Beets gets hands-on with his creaking 1938 gold dredge. Description: At McKinnon Creek, Todd Hoffman and his crew are doing their utmost to extract 2700 ounces of gold, but the pressure is beginning to get to them. Description: Jack gets to chase his dream at ElDorado, the richest documented creek in North America. Parker's crew pushes hard in attempt to have Treasure Island live up to its name. Tony discovers his dredge is pouring gold out of its sluices. Description: The sons of the Klondike return for more gold digging; the Hoffmans try to rebuild their reputation; the Beets family attempts to rise again. Description: Todd's crew discovers that finding prehistoric mammoth tusks brings good luck; Tony rebuild his wash plant; Parker opens the biggest cut of his life in an attempt to get more gold than his rival. Description: In the epic 2-hr premiere Todd Hoffman takes the biggest gamble and turns his back on guaranteed gold in the Klondike. Tony Beets expands his empire, buying a huge second dredge. Parker Schnabel starts his new season without his grandfather & mentor. Description: Todd Hoffman hits rock bottom when a key crew member quits; Tony Beets transforms some rusty relics into a monster power barge; a troubled Parker Schnabel misses his own birthday party. Description: With no paycheck for five weeks, Todd Hoffman's close-knit team turn on each other. Parker's gamble to run his washplant without protection from rocks proves costly. Tony builds a $10,000 mega-trailer to move his barge – but gets his measurements wrong. Description: Todd struggles to continue mining after his crew quits; Parker recklessly damages his truck's air hoses while transporting the wash plant; and Tony discovers his dredge is blowing gold out of the sluices. Description: The remnants of the Hoffman crew reach their lowest point, but someone brings Todd good news; Tony Beets fires his barge captain, then runs aground up the mighty Yukon River; Rick Ness finally gets Parker Schnabel's second operation up and running. 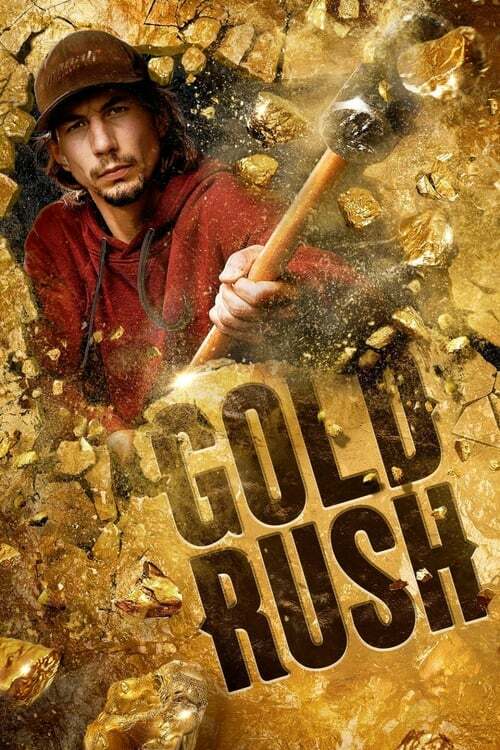 Description: Rick outperforms Parker on his new Indian River claim; Tony's dredge suffers a catastrophic failure, threatening his season; Todd Hoffman's skeleton crew finally sees good gold at their new mine in Colorado. Description: Todd Hoffman eats humble pie when he begs his old crew to return, Parker Schnabel loses an excavator in a swamp and Tony Beets gives his daughter Monica her own operation. Description: The Hoffman crew opens a second mine in Colorado; Parker Schnabel tries out a new mechanic who fails to get approval from Mitch; Tony Beets sets sail in a power-barge up the mighty Yukon river. Description: Circumstances force Parker Schnabel to call his dad in to help his struggling operation; Todd Hoffman has the best clean-up of the season; Tony Beets' daughter Monica starts bringing home the gold. Description: Todd's whole operation is brought to a halt when a beaver dams his water supply, Parker’s plant move turns into an excavator nightmare and a massive fix means Tony can finally get his broken dredge up and running. Description: Todd finds monster nuggets on the top of a mountain, Parker and Rick struggle with a conveyor and Tony pits Monica against Kevin to see if the dredge is more efficient than a modern washplant. Description: Todd Hoffman's new Oregon mine fails to deliver; Parker Schnabel's new $600,000 wash plant breaks down on its first start; Tony Beets takes to the sky to check up on his children. Description: Todd uses dynamite to blast monster boulders and get to the gold, Parker has to overcome a flood to get to a record gold count and Tony heads up the freezing Yukon River in his massive power barge. Description: As each crew attempts to hit their final goals, a fist fight on the Hoffman claim ends in a resignation; Tony's plan to relocate his dredge hits a brick wall; and Parker records the biggest gold weigh of his life and teases his next big adventure. Description: Todd returns to the Klondike to collect Monster Red while Parker confronts tough negotiator Tony over royalties and receives a shock offer. Description: Todd finally finds good gold at his new High Bar mine; Parker gives his foreman Rick his own operation and when Tony and Minnie decide to cut the dredge crew's pay, a key crew member calls it quits. Description: Todd battles to get the fifty ounces of gold he needs to keep his High Bar mine open; Tony brings all his children together to get his Paradise Hill claim up and running; Parker is furious at a series of errors which cost him thousands of dollars. Description: Todd moves his entire operation and begins to run pay dirt at a new mine. Later, Parker's flooded out; and Tony's ancient dredge scores record gold. Description: Tony arrives to find his million-dollar dredge in disaster. While Rick is at his grandpa's funeral, Parker shuts him down by taking his equipment, and the Hoffmans discover that their wash-plant doesn't work in their new mine. Description: Tony breaks records with the biggest gold haul in series history; Parker struggles to save his wash-plant; and Todd finally strikes gold after seven weeks at the Buckland. Description: Todd and Parker go head to head in a $100k bet over who will mine the most gold this season. Tony sets sail up the Yukon River to revive his second monster dredge and Parker makes a deal on new ground that leads to a dramatic showdown with Tony. Description: As safety inspectors arrive, Hunter commits a serious violation, which costs Todd thousands of dollars. Parker Schnabel is halfway through the season, but nowhere near halfway his goal. Plus, Tony Beets is ready to barge the bucket line down the Yukon River. Description: Todd discovers a historic mine site that could save his season and battles monster boulders to get to the gold. Tony starts a massive operation to replace a 24 ton bucket line and Parker's parents arrive for his birthday bringing extraordinary gifts. Description: Todd's Colorado mine is in the path of a rare solar eclipse, but he's in trouble with less than 800 ounces this season. Meanwhile, Rick has bad news for Parker. Tony Beets and his crew take the helm of the family barge on the Yukon River and run it aground. Description: Hunter makes a rookie mistake that causes dysfunction for the Hoffman crew. Tony Beets has to improvise to tear down his second dredge and Parker Schnabel risks damaging his washplant as he races to finish his last cut at Scribner Creek. Description: Parker Schnabel's opens a brand-new cut, but his crew gets stuck in the mud. Todd tries to get Hunter back on the team to assemble a new wash-plant and Tony's stuck up the creek without a barge. Description: Parker Schnabel moves a massive wash plant on his own. Todd Hoffman races to set up his new trommel and faces a medical emergency, while Tony Beets' daughter makes a $200,000 mistake. Description: Parker threatens to shut down Rick's Indian River operation after the production dives. Disaster strikes the Beets crew while Kevin is gone visiting his girlfriend. Todd's crew scours the mountainside for gold after he gives them a shocking ultimatum. Description: Parker suspects Tony of sabotage on his new ground and confronts him. Todd's new washplant hits the noise limits for local regulations and they must find a bush fix to solve the problem. Tony Beets takes on his biggest challenge yet in tearing down his second dredge. Description: Parker buys his first Klondike claim, but gets an unpleasant surprise when he test pans it. Todd uses chemical ingenuity to break a monster boulder apart that stands in his way to gold. Tony nearly loses a crew member as he is tearing down his second dredge. Description: Tony's dredge teardown hits a wall when they attempt to remove the heaviest piece. Hunter Hoffman demands a change of mine site if they're going to have a future. Parker makes a bid for independence on his own claim, but Tony stands in the way. Description: A rogue gunman fires shots at the Hoffman crew; frozen ground destroys Parker Schnabel's dozers; Tony Beets starts to tear apart his 500 ton dredge. Description: Judgement day on Parker and Todd's 100-ounce bet; while Parker chases a record-breaking total, Todd desperately tries to keep his crew from falling apart. Tony struggles to get his dredge to Dawson before the Yukon River freezes over. Description: Todd interferes with son Hunter's wash-plant, pushing their relationship to a breaking point; Parker battles to maneuver a 150 foot super conveyor; Tony desperately needs dredge number 1 to deliver gold, but frozen ice may derail his plans. Description: Todd races to construct a massive holding pond before a storm hits. Parker is furious that Ricks's failure to manage the cut has forced it to be shutdown. Meanwhile, Tony undertakes a $600,000 upgrade of dredge #1 in an attempt to jumpstart his season. Description: Parker Schnabel fights rising floodwaters to save his cut; Hunter Hoffman makes a bold decision to shut down his operation and his father's. Tony Beets takes a convoy of military trucks on a treacherous journey to hunt down parts for his monster dredge. Description: Todd shuts down his operations to support Freddy Dodge as he pleads with the county commissioners to allow him to mine his claim; Kevin has bad news. Description: A massive forest fire tears through the Klondike toward Parker's claim, threatening to end his season; Tony desperately needs his barge to tt7701690run. Description: Todd is falling way short of his target and with his business struggling, he faces a tough ultimatum. Plus, Parker must move Sluicifer but is short on crew. Description: Todd has ran out of luck and ground, until he makes a desperate play for some new land. Parker's sitting on a pretty pile of gold, but pushes Rick too hard. Tony attempts to jump start his season by taking a risky voyage up the Yukon River. Description: New mine boss Rick gathers together his crew of greenhorns & arrives in the Yukon ready to start his season. Parker and Tony face off over royalties and land access in a confrontation that threatens to end one of their seasons before it's even begun. Description: Rick Ness and his father, Rick Senior, battle together to open a new cut; Parker struggles with mechanical breakdowns, and a crew member suffers a terrible injury; Tony races to dismantle the final sections of his million-dollar dredge. Description: The flu brings Parker's operation to its knees, and it's up to foreman Dean to keep the claim running; Rick's mechanic, Carl, behaves strangely and reveals shocking news; Tony hits rock bottom as his entire operation grinds to a halt. Description: Rick discovers he's been losing gold after Freddy Dodge points out a major flaw in his wash plant; with his excavator down, Parker risks moving his wash plant with a dozer. Description: Parker leaves Brennan in charge of one section of the mine, with mixed results; Rick damages his water pipe with some careless excavation work. Description: The Beets family celebrates as Monica gets married; while Tony is happy for his daughter, he is also stressed to be taking time off while behind on his gold target. Description: Parker and Mitch go for a boat ride that results in Mitch getting injured. With the parts of the second dredge finally in position, Tony has problems reconstructing it. Description: Parker is determined not to leave any good pay dirt for Tony, so he cranks up the speed on his sluices. The frosty ground is causing problems for Rick's crew. Description: In an attempt to get dredge two running before the end of season, Tony shuts down dredge one. Brennan takes a risk and keeps Big Red running after signs of damage. Description: Parker's parents visit and offer help; Rick continues to battle frozen ground to reach his goal; shocking news forces Tony to make a drastic decision about his season. Description: Rick faces mutiny from his crew of greenhorns. Parker visits his parents for some advice and makes a decision that will affect the rest of his season. Tony's barge hits trouble again on its way back to Dawson to finally begin the rebuild of his second dredge. Description: Winter has arrived, shutting down Rick's sprinkler system and leaving his cut frozen. Elsewhere, moving Big Red to the new pay dirt he discovered proves a difficult job for Parker. Description: Rick desperately tries to get the last 27 ounces he needs to hit his target. Meanwhile, Tony finds out his dredge is short 30 buckets. Description: Sit down with Parker Schnabel, Rick Ness, and Tony Beets as they discuss the biggest moments from this past season of Gold Rush. Then, The Dakota Boys reflect on their wild season and look ahead to what's next. Description: Rick is on the search for a new washplant with his crew. With Parker's ground being frozen he must find a way to mine the gold to pay his deposit to Tony. Tony orders his son Kevin to train a new dredgemaster, but a vital piece gets damaged and grinds them to a halt. Description: Disaster strikes when Rick fires up his wash plant for the first time; Parker tries a risky plan, and he must choose a new foreman to replace Rick; Tony must transport his tug Kid Commando to the dock for a crucial stability test. Description: Rick drafts a Gold Rush vet and former member of team Hoffman to save his season. Tony and Monica fire up their wash plant as they start to battle Parker to beat him to the gold. Description: New mine boss Rick is buckling under debt and if he's going to prove himself to his crew he needs to get his first gold weigh; Parker attempts a treacherous river crossing; Tony Beets hits a snag removing a massive piece of his dredge. Description: Parker hires a new driver that isn't as experienced as he claims. Elsewhere, one of Tony's dredges sinks into a pond, and he clashes with son Kevin over how to rescue it. Description: Heavy rainfall for several days causes problems for Parker and Rick. Elsewhere, Tony's second dredge upriver proves more difficult than expected. Description: Parker battles to save his season when his biggest wash plant collapses. Rick makes a shocking discovery about his gold mining claim and turns to his dad for help. Tony races to finish dismantling his dredge but a crucial piece comes crashing down.